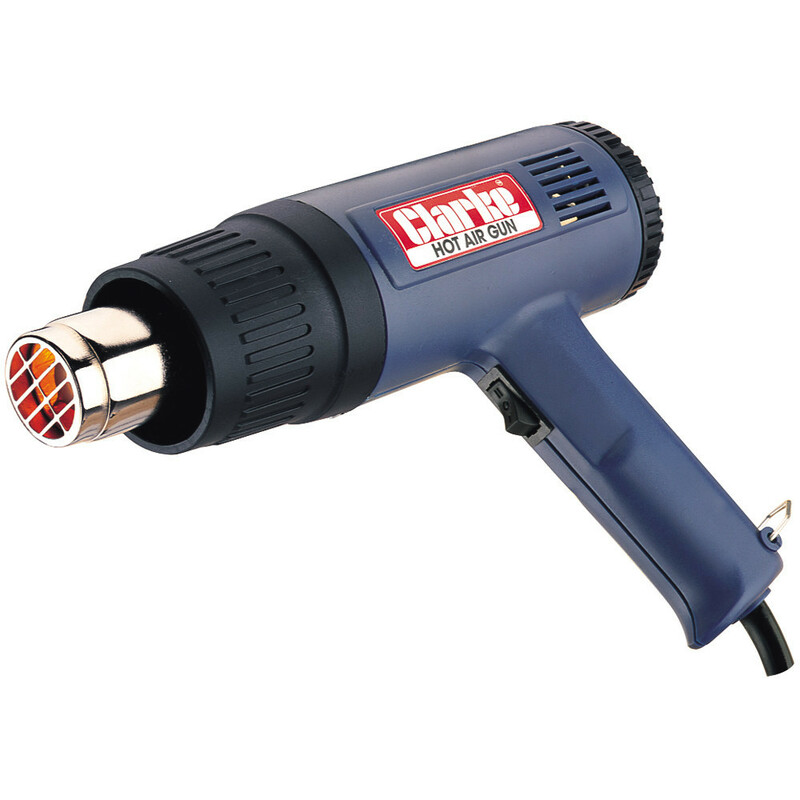 I needed to build a device to heat up a compressed air stream, so I bought the cheapest hot air gun I could find and set about dismantling it. Here's a little bit about how the gun works. It's a Clarke model CHG1500B, bought from Machine Mart for about £14. The design appears similar to others floating around on EBay, so it may be quite common. I don't guarantee the wiring colours inside will be the same though. The gun appears to be rather an old design (the inside of the plastic housing is dated 1999! ), but it's very good quality. The heating element is wound on a ceramic former, rather than just a few bits of mica sheet like in the other gun I have. Now the interesting stuff - the circuit diagram. The heating element module contains three heating elements - two "main" ones and a very small one which acts as a resistive divider to provide about 20-30V for the fan motor. A small bridge rectifier generates the DC required for the motor. The two capacitors filter out any motor noise. On the low setting, heater power is about 1000W and the motor power 7.5W. On the high setting, heater power is 1500W and motor power 18W. The heating module contains a thermal fuse which blows at 240°C to protect against overheating. When the fuse blows, a rather clever thing happens. The 3.6Ω resistor is no longer in circuit, so the motor is connected directly to the mains through the heating element. As a result, the motor power increases dramatically, cooling the heating elements quickly and resetting the fuse. With the fuse blown, motor power is about 220W on the low setting and 400W on high! That's assuming the motor can withstand that power level without itself burning out.